Available in sizes 5" to 120"
We have over 100 years of experience in one award winning team. 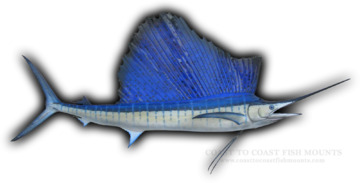 Let our marine taxidermists work closely with you to create the Sailfish mount of a lifetime. 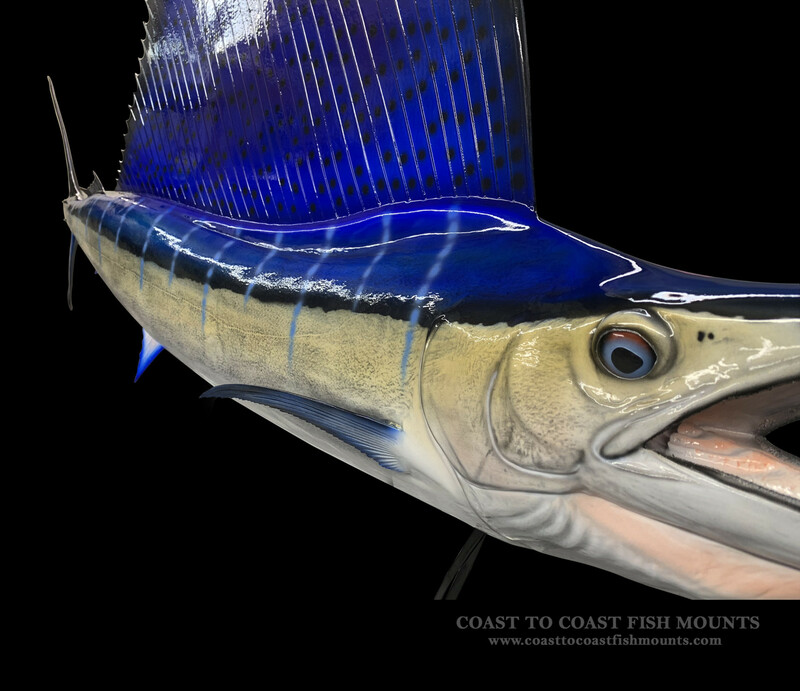 Our Sailfish fish mounts are museum quality art pieces that look like LIVE FISH. The finest materials combined with highly skilled workmanship that will last a lifetime without discoloring or aging. 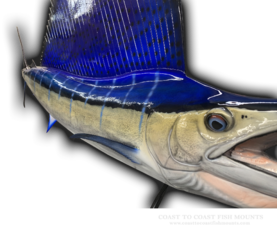 Striking anatomical posing as well as color accuracy holds the key to a meaningful Sailfish fish replica. 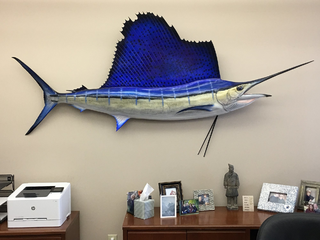 Our Sailfish fish replicas are available in customer pleasing high action anatomical poses, as in traditional slight bend to the head, slight bend to the tail, swimming pose, leaping pose, tail walker, and rolling down poses. Open mouth, open gill, and complete inner mouth detail is standard. 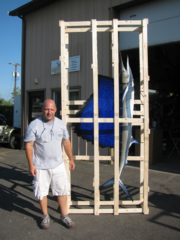 We build, own, and stock over 2000 fish replica molds of all sizes and species that are custom created and painted for you in our facility one fish at a time to match the length, girth, and all of the specific characteristics and details only YOUR FISH displays. Available in sizes 5 to 120 inches. 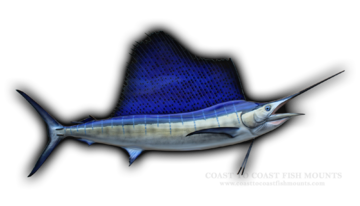 Average Size: Mature sailfish will grow 5 ½’ to up to 11’ and generally weigh anywhere from 120-220 lbs. 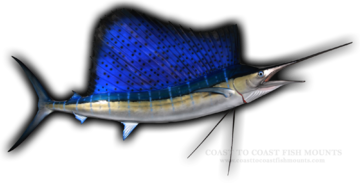 Sailfish are a species of billfish that live in the warmer parts of the oceans of the world. 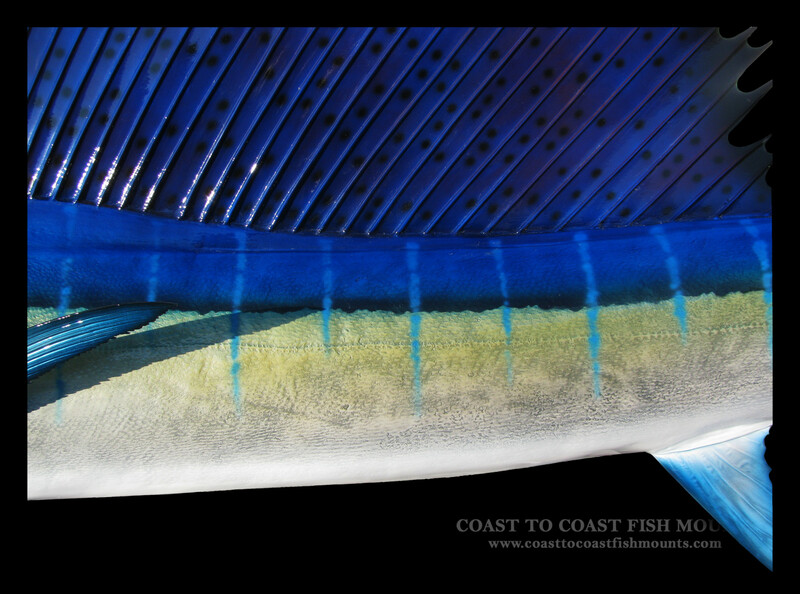 Sailfish are mostly blue to gray in color. The main characteristic of the sailfish is the erectile dorsal fins known as the sail, which usually stretches the entire length of the back. 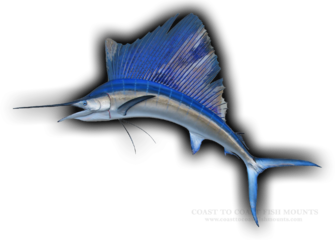 Another characteristic of the sailfish is the bill resembling that of the swordfish and other marlins, therefor described as billfish in the sportfishing world. Physical Description: Sailfish can grow 3 ½’ to almost 5’ in a single year. Sailfish surface feed and at mid depths for smaller pelagic forage fish and squid. 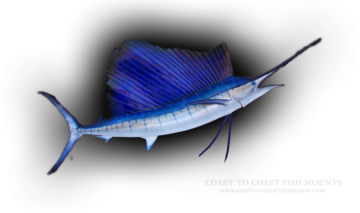 Sailfish have been known to swim at speeds near 70 mph making them one of the highest speeds reported in any water organism. 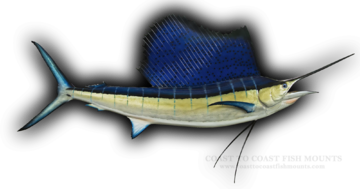 Sailfish generally do not grow in length to more than 11’ and very rarely are the more than 220 lbs. 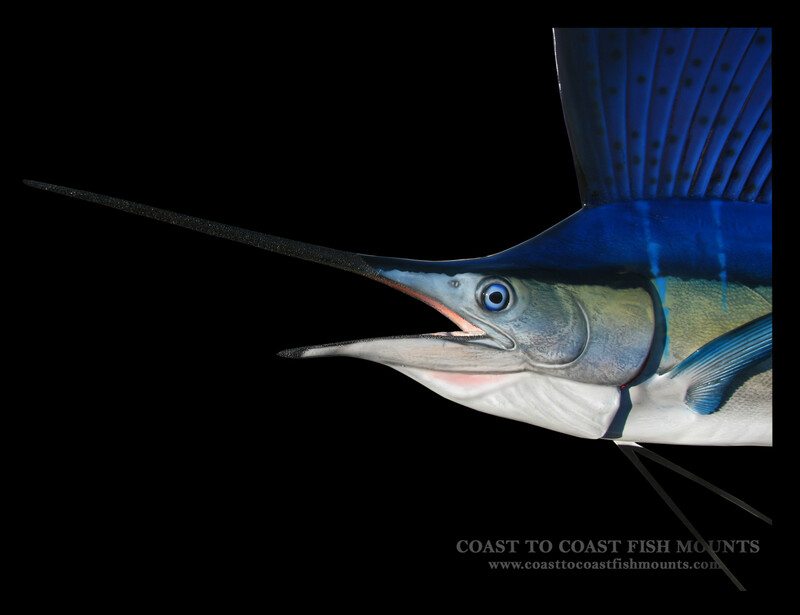 Sailfish are known for their jumps and leaps out of the water making them a prized game fish. 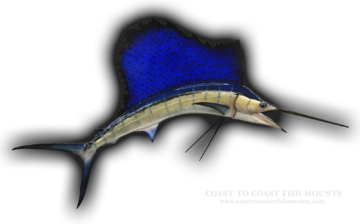 From slight browns and grays to brilliant purples and blues, at Coast To Coast Fish Mounts, we will match the variation in color patterns that the sailfish displays with a beautiful replica mount sailfish mount.